The need to grant access to the account may arise when a new person or team needs to view, configure, edit, and administer the profile.
! 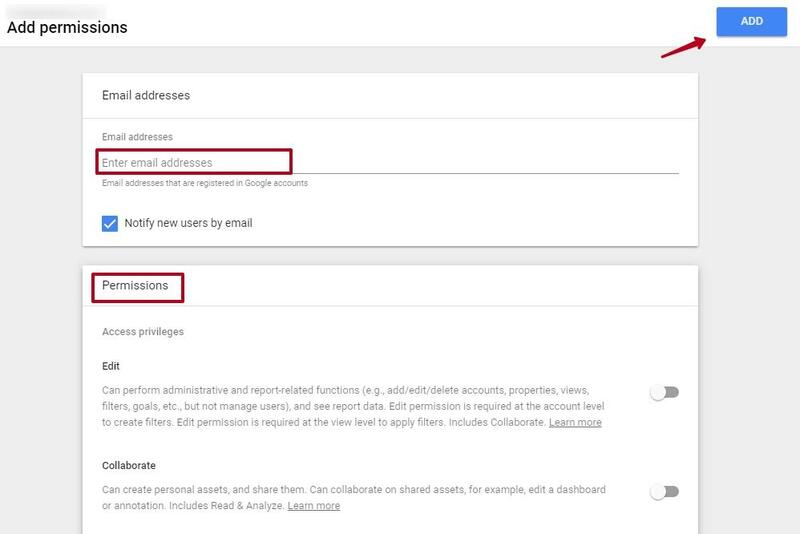 You can share access only with existing accounts created with Google services—accounts.google.com—or accounts of other email services (for this you must register a mailing address in https://accounts.google.com/SignUpWithoutGmail). Thus, all edits are made on the page of https://tagmanager.google.com/ service. 1. 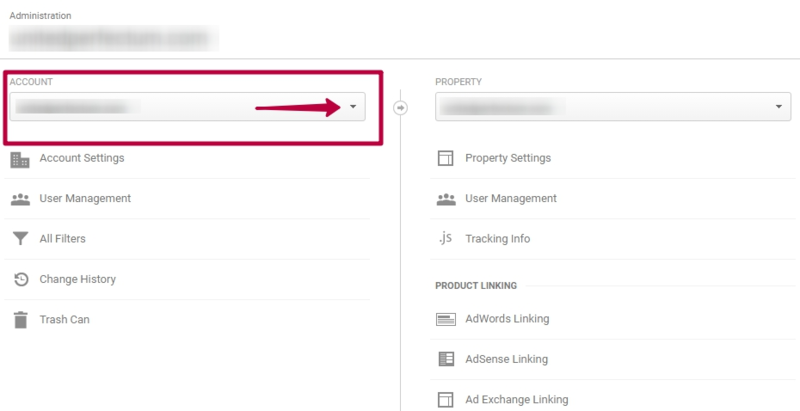 View and manage at the Account level. Admin – view and add new users. 2. 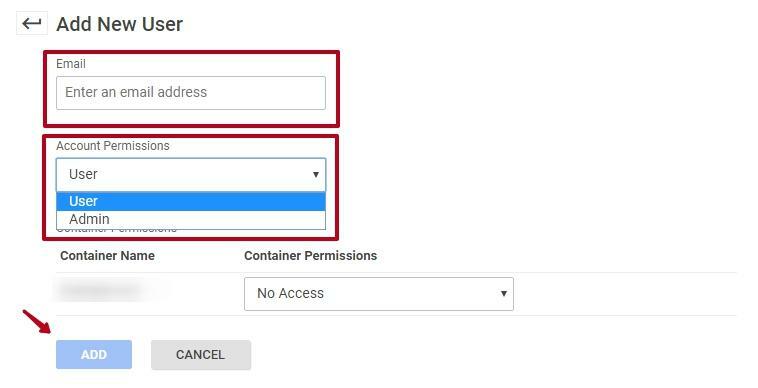 Configure and edit at the Container level. Edit – the ability to edit. Approval – the right to confirm requests for adding tags, links to external accounts. Publication – the right to publish containers. 1. Log into the system. On the main page, select the Admin section. 3. Create a new user by pressing the “NEW” button. 1. Go to the Admin tab. 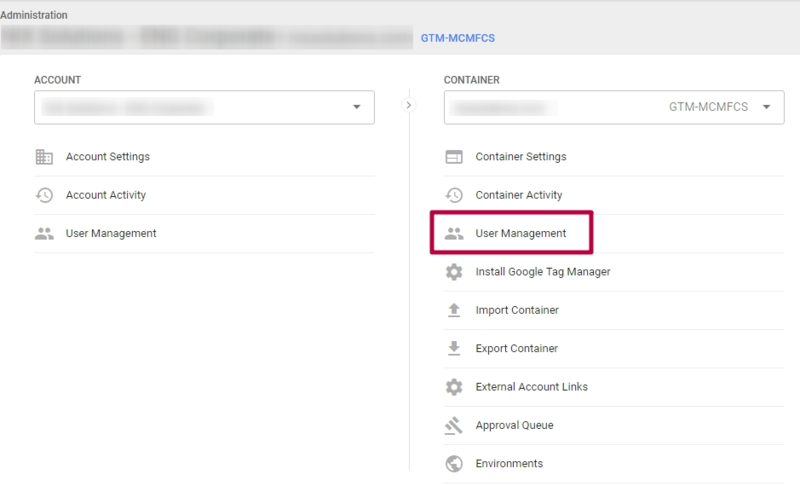 In the Container block, select User Management. 2. Add a new user by clicking the New button in the appeared section. Google Analytics is a service that allows you to collect statistics of website visits. Access to the account – the user will have access to all of the sites in this account. Access to the resource – the user will only have access to a certain site in the account. Access to the view – the user will only have access to a specific view from the account. In the left menu, find the Admin section and click on it. If there is more than one account, select the one you need from the drop-down menu on the top. If the account is one, go directly to step 4. Access to the account: ACCOUNT – User Management. 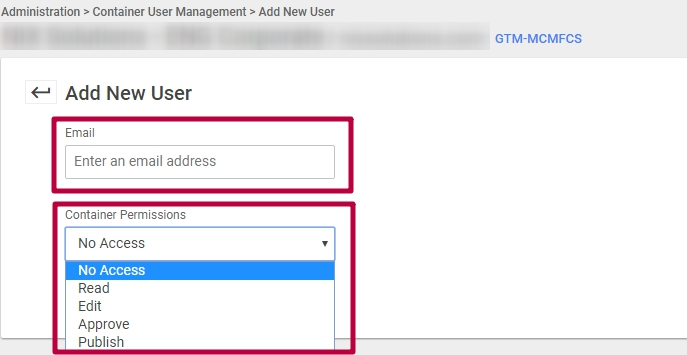 Access to the resource: PROPERTY – User Management. Access to the view: VIEW – User Management. Google Search Console is a service for webmasters, website owners, analysts, and SEO professionals, which allows to assess the quality of the site, identify errors, and get recommendations for optimizing the resource.
! Under each existing version of the site (http/https, www/non-www), separate access is granted to the account. This is necessary to specify the current main version of the site in Search Console and be able to monitor the status and make changes (for example Disavow Tool) in all available versions. Log into your account. If you have multiple sites on the same account, select the resource to which the access right will be shared. If the site is only one, go directly to step 2. In the top right corner, select the gear icon and select Users and Property Owners from the drop-down menu. In the upper right corner, click the Add a new user button. Manually mark off structured data.